How much is Amitabh Bachchan Worth? Amitabh Bachchan net worth: Amitabh Bachchan is an Indian film actor who has a net worth of $400 million. Amitabh Bachchan first became famous from his roles in the 70s in Hindi cinema as the "angry young man". He eventually went on to become one of the most prominent figures in the history of Indian cinema. 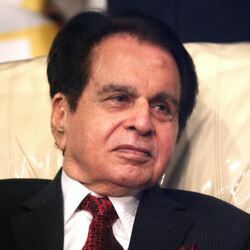 Among his many awards throughout his acting career include four National Film Awards, three of which are in the Best Actor category, and fourteen Filmfare Awards. At Filmfare he has received 36 nominations overall, making him the most-nominated performer in any major acting category. He was elected to the Indian Parliament and served as a member from 1984 to 1987. 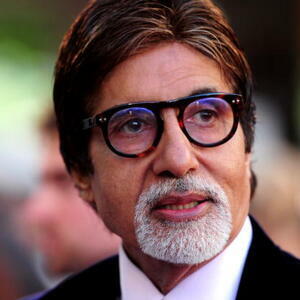 Bachchan has also worked as a playback singer, film producer, narrator and television presenter. Bachchan is known for his deep, baritone voice. He was born in Allahabad, Uttar Pradesh, to a Hindu Kayastha family. He attended Nainital's Sherwood College, where he majored in the art. At Kirori Mal College of the University of Delhi he completed a Bachelor of Science degree. Amitabh has been an active member of the acting community since 1969, and he has been married to Jaya Bhaduri an Indian actress and politician since 1973. The couple have two children, Shweta Nanda and Abhishek Bachchan. Abhishek is also an actor and is married to actress Aishwarya Rai. In 1969 as a voice narrator in Mrinal Sen's National Award winning film Bhuvan Shome, Bachchan made his film debut. His first role as an actor was in Saat Hindustani, a film directed by Khwaja Ahmad Abbas as one of the seven protagonists. Bachchan won his first National Film Award for Best Newcomer. 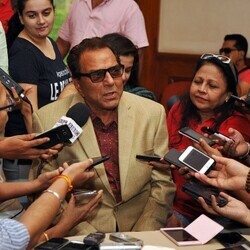 Some of his most recent roles include films such as Rann and Teen Patti. Amitabh Bachchan: the Legend was published in 1999, To be or not to be: Amitabh Bachchan in 2004, AB: The Legend: (A Photographer's Tribute) in 2006 are among the many books that have been writing about Bachchan's life.